As I keep getting busier, it is increasingly hard to organise a hands-on personal Camp Oven Workshop. Due to many requests, I have put together a comprehensive online member training program, which covers more then just camp oven cooking. If you can relate to any of the above, this might be for you. I will walk you through my "no fail" step by step program with weekly lessons, recipes, tips, techniques, and how to's for as long as you wish to participate. If you have an insatiable urge to escape the daily grind, get outdoors to play, get away from the hustle and bustle of the big smoke, I know you’re going to love the program. I encourage you to join me, get out there, play safe and have fun. 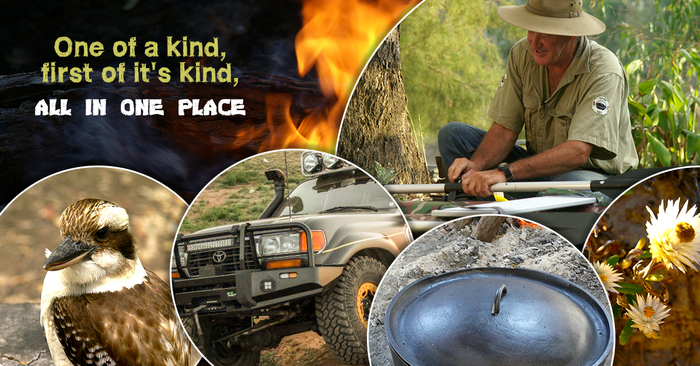 Nothing beats the great outdoors and an old fashioned Aussie BBQ, except an impressive true blue camp oven meal! 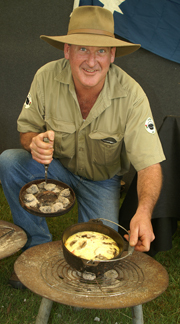 You are in for a special treat when Ranger Nick travels the country to share his bush cooking skills. Do you like the idea of sitting back with a stubby in your hand or a glass of wine, whilst the meal is cooking by itself? Can you imagine sitting around the campfire with your friends having a good old yarn or yack-i, and dinner is ready when your tummy starts rumbling? 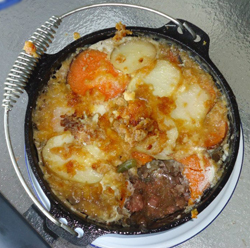 Do you enjoy a hearty Aussie meal and still impress your mates with some unique no fuss recipes? 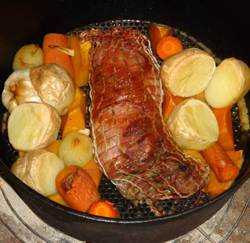 There is nothing more simple or enjoyable then cooking up a storm in the camp oven - best of all, anyone can do it. Suddenly, kids of ALL ages want to be in the "kitchen". Even the cleaning-up is easy. 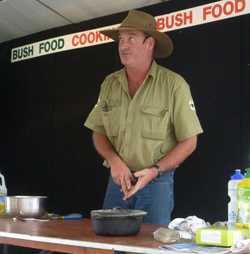 Ranger Nick will show you hands on how to produce a cracker of a meal with whatever is in the tucker box. 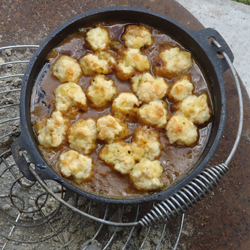 Bring along your own recipe to share or enjoy a mouthwatering dish by Ranger Nick. So, if you would like to have some fun, come along to a camp oven cooking workshop with Ranger Nick. You are guaranteed personalised attention and ensured to get all your questions answered. You might even get to hear some of his humorous tales or learn some simple bush craft. You will leave the workshop with a pocket full of easy delicious recipes, the know how of camp oven cooking and a great time. 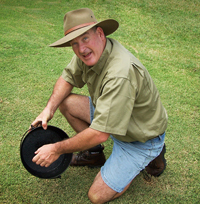 In addition to the above, Ranger Nick will explain how to choose a camp oven, how to cure and care for it, the art of converting traditional oven settings into coal requirements and recommend tools for the tuckerbox. This is more than a cooking class and certainly not an ordinary experience. 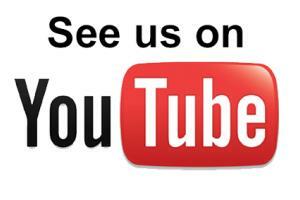 Numbers are strictly limited, so book early! The camp oven workshop includes tea & coffee, entree, main meal and dessert.